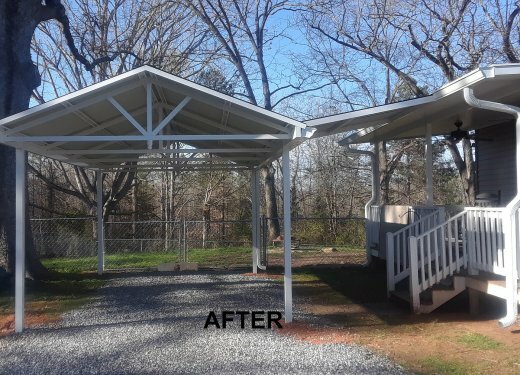 Allow our team of professionals at Starrwood Awning LLC to custom build your free standing or attached carport to protect your vehicles from the elements. 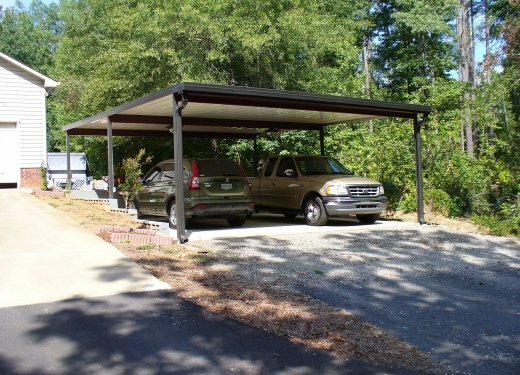 Our carports can also double as an outdoor entertaining space by creating shelter for an area to grill and picnic. 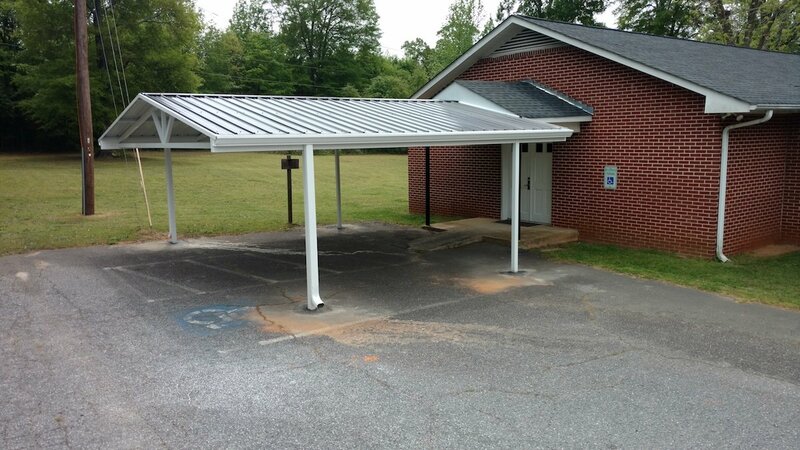 Bronze carport with filled gable in sandstone near Easley, SC. 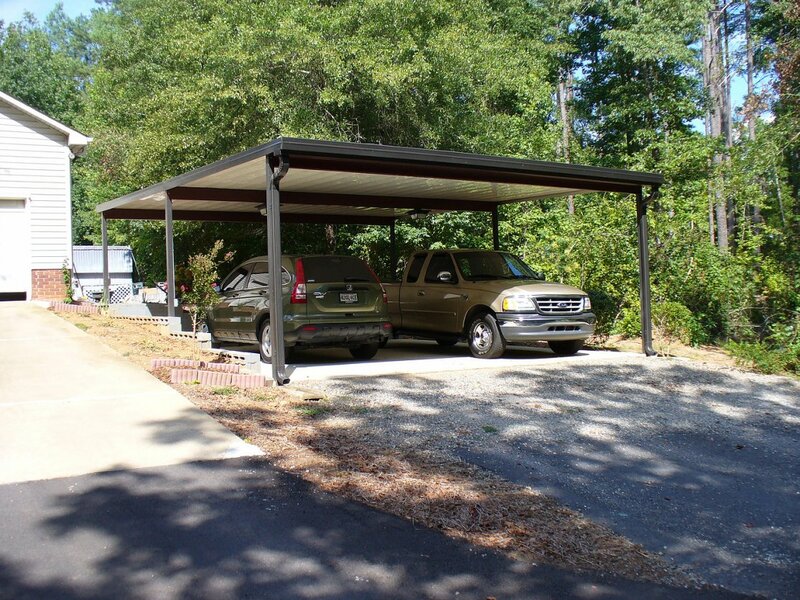 Bronze and sandstone carport near Greenville, SC. 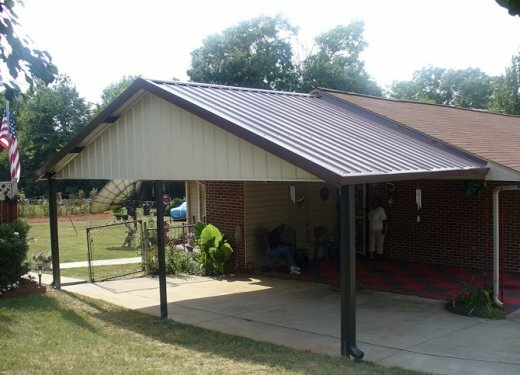 Attached carport near Greenwood, SC. 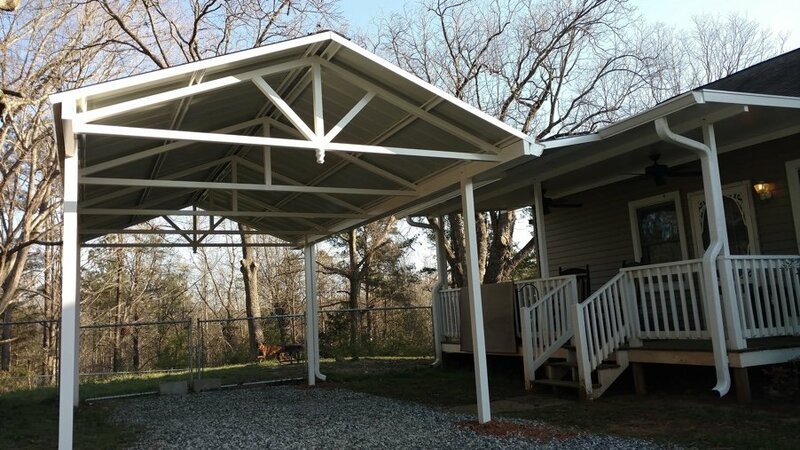 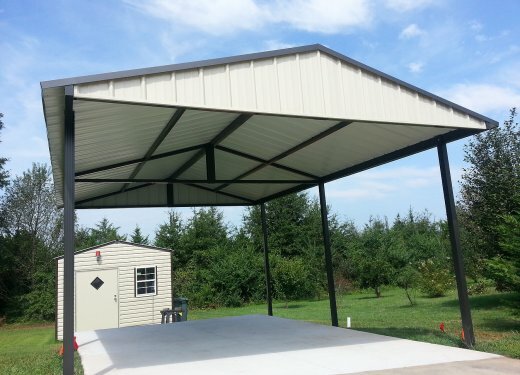 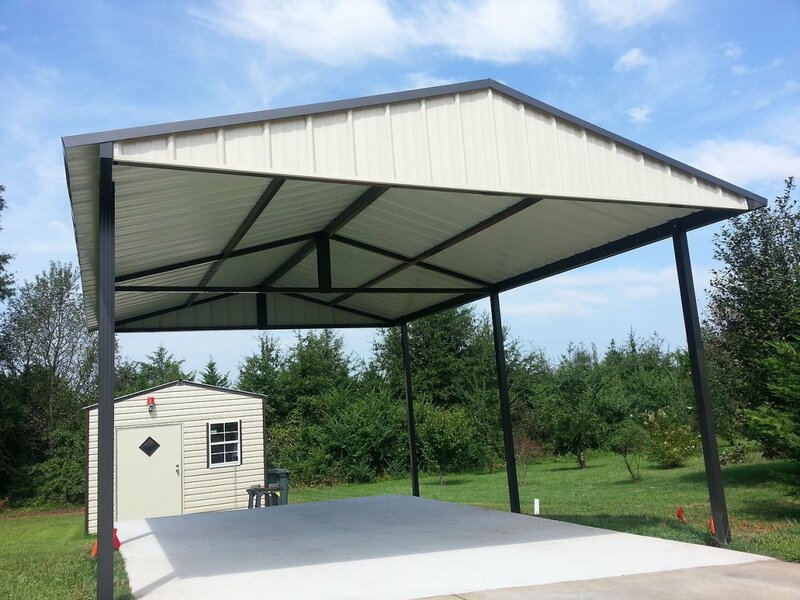 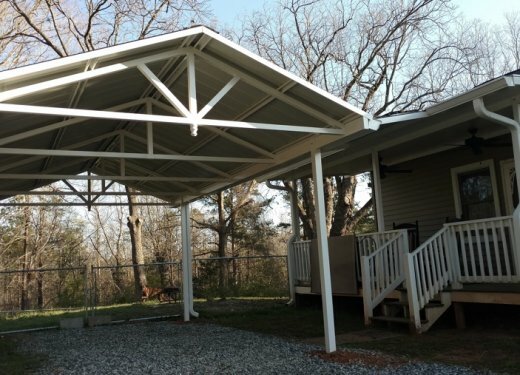 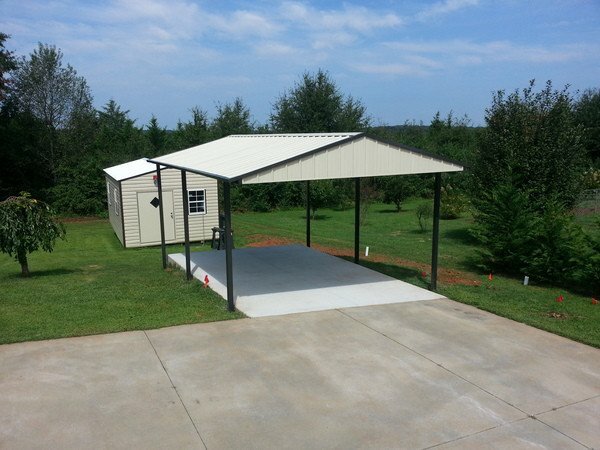 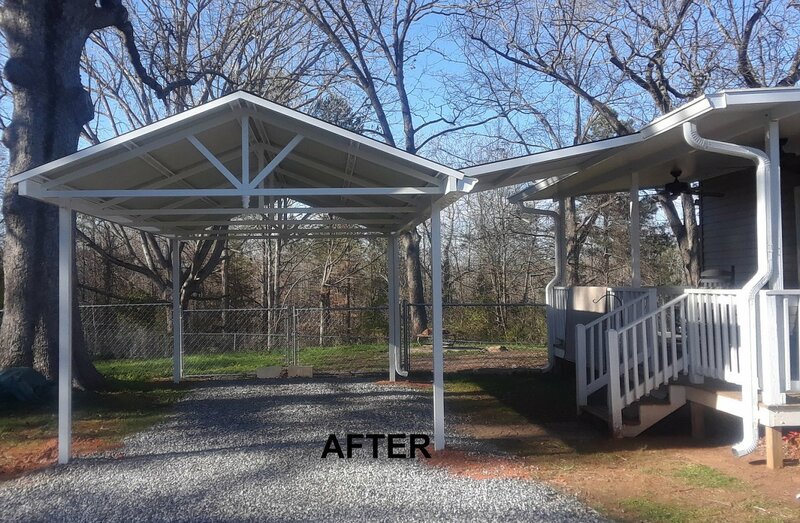 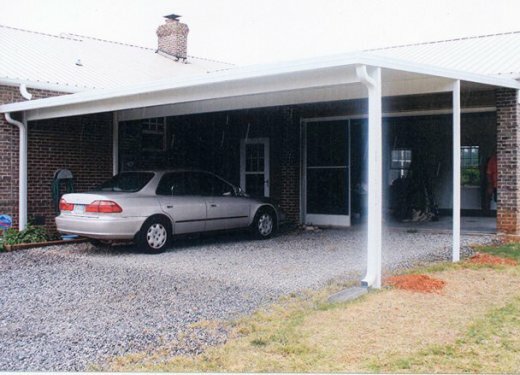 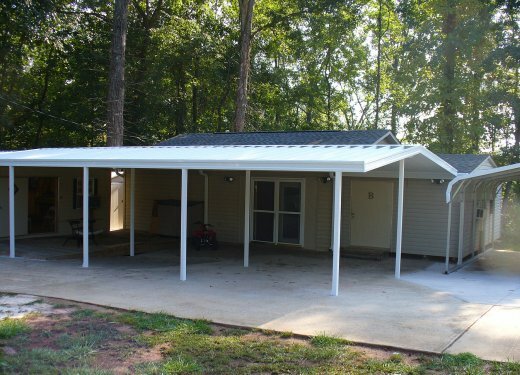 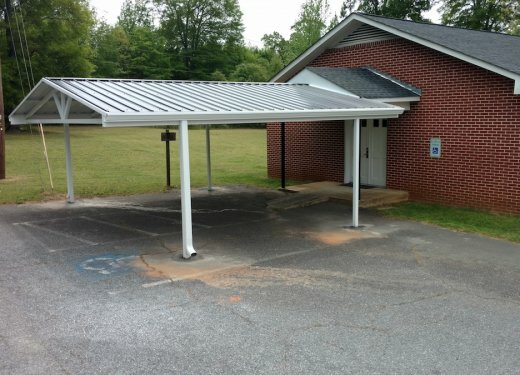 Flat bronze freestanding carport near Greer, SC. 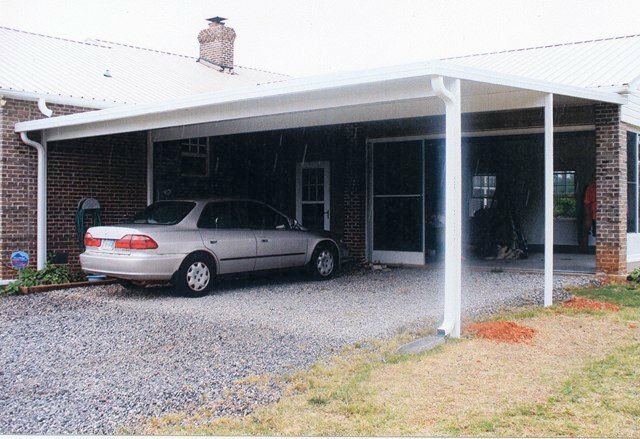 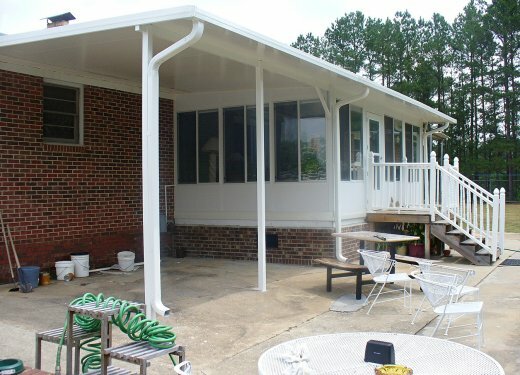 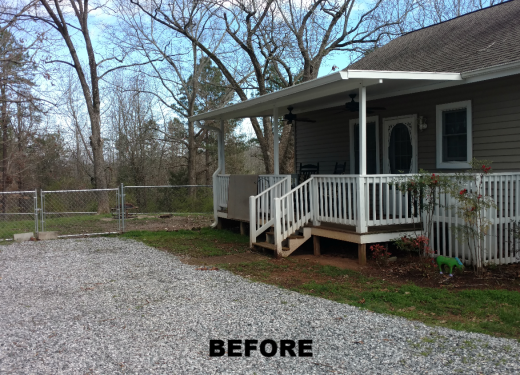 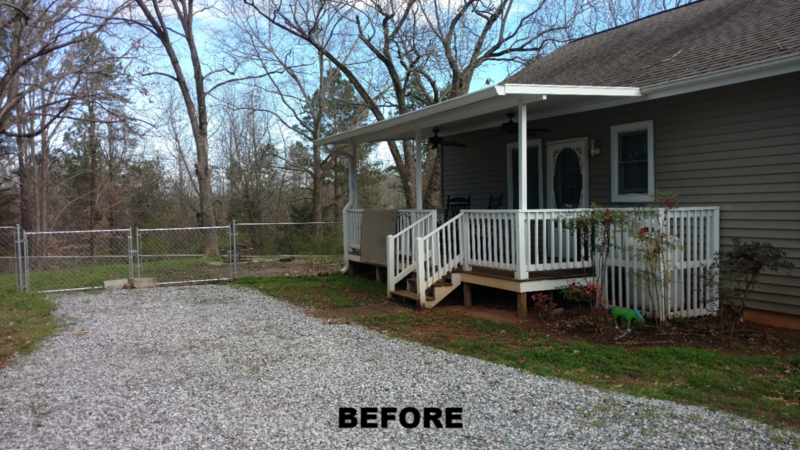 Carport glassroom combination near Greenwood, SC.